There’s something about the winter season and the cold weather that makes me crave comfort food. 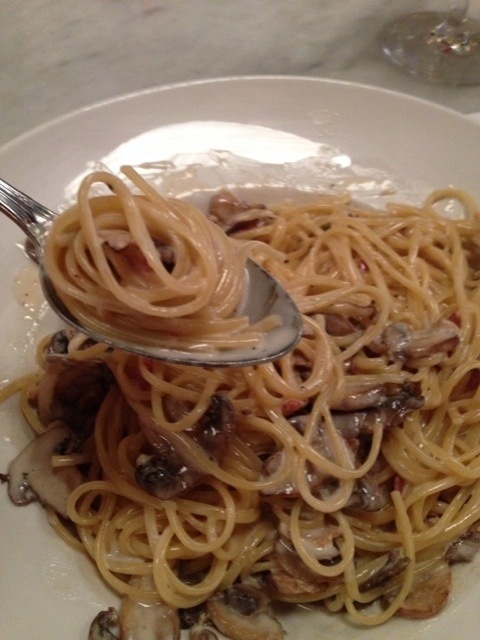 For me comfort food is usually warm and hearty and carb laden; dishes with rice or potatoes, cream sauces, or pasta. With these record lows the past few days I’ve been thinking about comfort food a lot, and I know I’m not the only one with all the crockpot posts I’ve been seeing. A few days ago when my husband said he was craving a big bowl of pasta (it’s very rare for him to say this, he’s not a big pasta eater like I am), I immediately said – Absolutely! Where should we go? 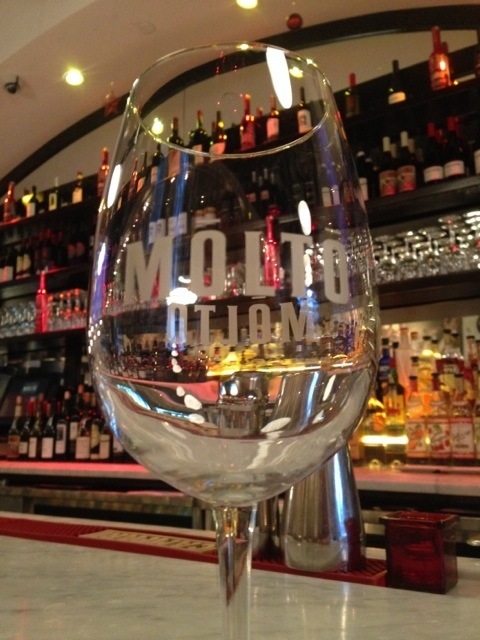 After some menu reading online, we decided to head to Molto Wine Bar in Fairfield. 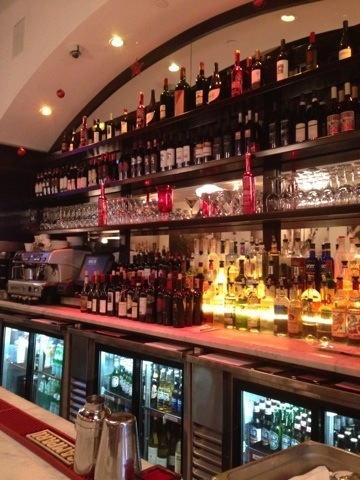 Described by some as an “upscale pizzeria,” I consider Molto to be an Italian restaurant with a bit of an urban feel. With such features as an extra long marble top bar, dark wood, leather booths, low lighting from red chandeliers, super high ceilings, and old black and white movies projected onto the back wall above the window to the kitchen, Molto’s decor reminds me of trendy small Italian restaurants you might find in New York City. 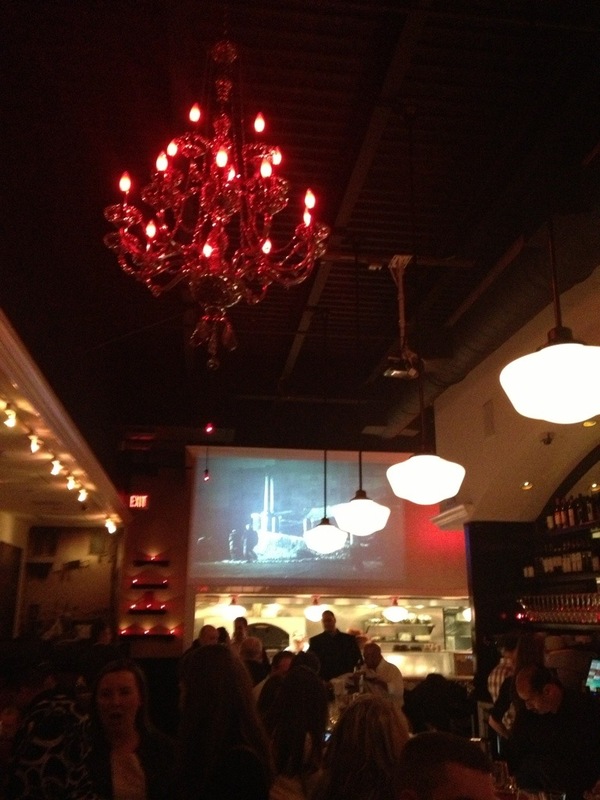 If you go to Molto for dinner, especially on a Friday or Saturday night, I can guarantee you it will be crowded. 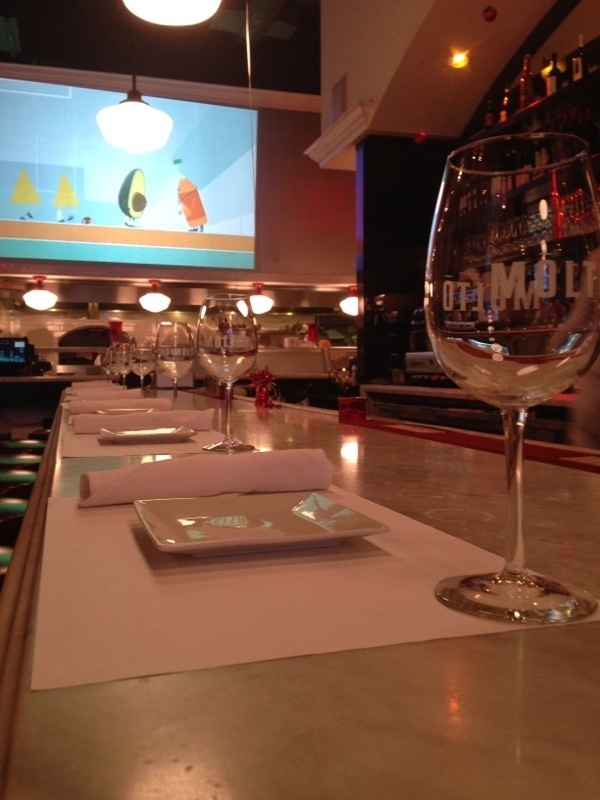 If you don’t mind a crowd, the food and drink menu are worth it. I must admit, for me, a crowded restaurant only reinforces how popular a food spot is and how good the food will be (as Rachel Ray always says, ask the locals for advice where to eat, and I believe crowds are visual pointers to where you should dine). 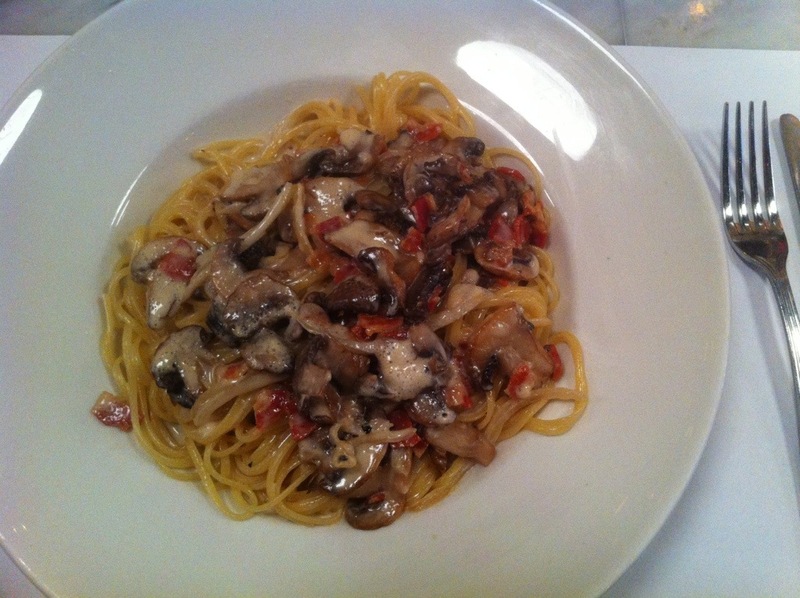 If you’d like a quieter dining experience, however, then I suggest you visit Molto for lunch, or a very early dinner, which is exactly what we did the other day. 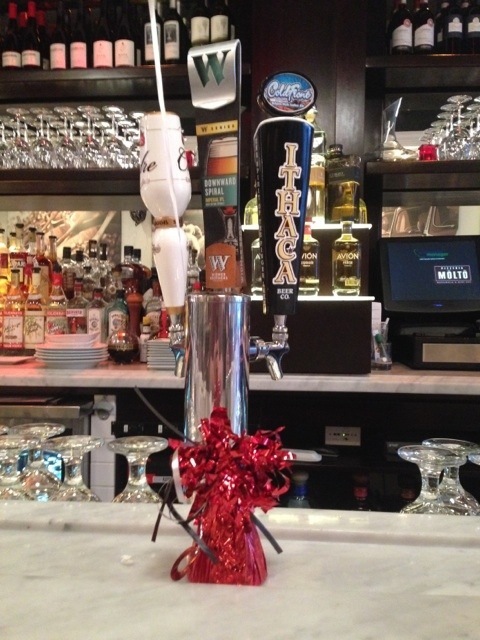 Molto’s food menu includes everything from small plates or tapas-like appetizers to pasta to entrees to pizza. Everything I’ve tried so far is delicious and I must tell you about this pasta dish we tried for the first time the other day that I’m now obsessed with: Linguine Carbonara. 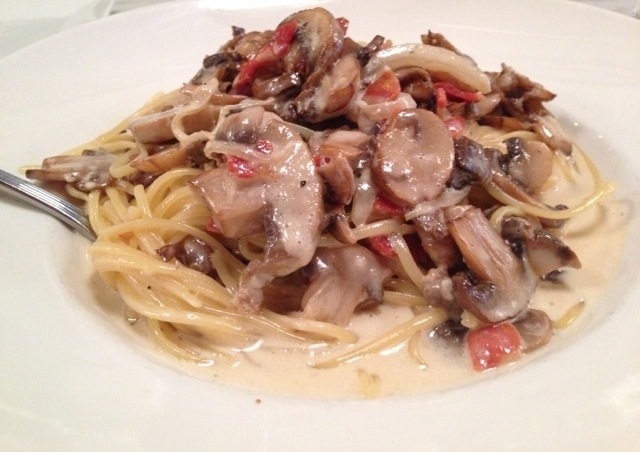 Molto’s Linguine Carbonara is made with panchetta, onions, and mushrooms in a creme sauce. Why is this my new favorite pasta dish? The creme sauce is a light one and not as heavy as an alfredo sauce, so it fills the craving without weighing you down for the rest of the day. The mushrooms have a light flavor rather than a strong earthy flavor, which balances so well with the onions and the savory and salty flavor of the pancetta. The different textures of the soft mushrooms and onions and the chewy panchetta make this dish interesting, yet the familiar ingredients and flavors make this dish comforting and perfect for a cold winter day.